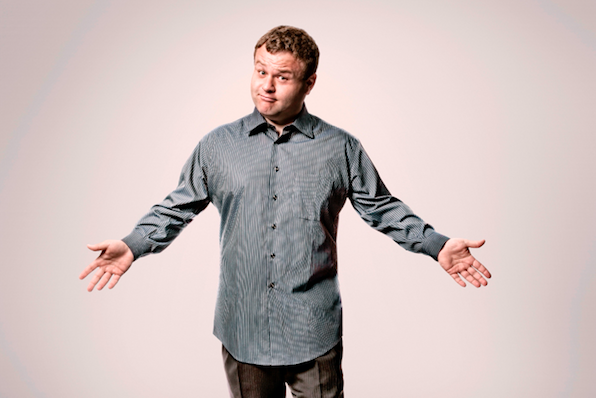 Frank Caliendo will be at the Borgata in Atlantic City on Saturday, Oct. 28. In these politically correct times, an impersonation can open a career-threatening can of worms. Which explains why Frank Caliendo has sworn off adding the visuals to his trademark impersonation of former 76ers superstar and current basketball commentator Charles Barkley. Caliendo, of course, is the entertainer who, for more than a decade, has reigned as show business’ leading celebrity mimic. While his repertoire of voices includes actors (Robert DeNiro, Al Pacino) and politicians (Bill Clinton, Donald Trump), his vocal calling cards come from the world of sports announcing, most notably Barkley and longtime NFL analyst John Madden. When it was logistically feasible (as on his former TBS sketch series), Caliendo would pair his dead-on impersonation of Sir Charles with costuming that included brown-hued makeup that gave Caliendo a skin tone approximating that of his subject, and Barkley's signature clean-shaven scalp. Caliendo insisted no offense was ever intended, but he understands the potential blowback in these on-edge times simply wouldn't be worth the grief. Thus, he has voluntarily retired that aspect of the impersonation. “I wouldn't even come close to it anymore. It's not worth it,” Caliendo said during a recent phone call occasioned by his Saturday performance at Atlantic City’s Borgata Hotel, Casino & Spa. Caliendo gets that being a white man made up to look black can be construed as offensive — especially when those entertainers from the late 19th and early 20th century, whose makeup purposely played to certain physical stereotypes of African-Americans by accentuating the mouth and areas around the eyes – are recalled. But, he insisted, that was never his game plan. One person of color who has never had a beef with Caliendo’s take is Charles Barkley himself. As for everyone’s favorite subject of mimicry these days, Caliendo has been impersonating Trump for years. But, he insisted, no one should come to one of his gigs for political commentary. “He's the only guy who can describe a word with the same word,” Caliendo offered. “He'll say, ‘That's tremendously tremendous.’ You can't do that! You're using an adverb to describe an adjective. And it's the same word! “I like to keep it silly because my audience is all over the place. There might be somebody who is to the [political] right, to the left, to the middle – I, myself, am probably closer to the middle. Catch Caliendo Saturday, Oct. 28, at the Borgata, 1 Borgata Way, Atlantic City. Showtime is 9 p.m. Tickets are $55 and $59.50.